Solutions to easy, fast, flexible spacing, strong, effective inter-locking feature that is highly suitable for use in the uPVC Cable pipes laying purpose. 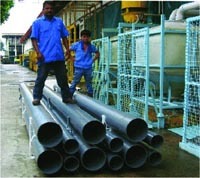 Singa Plastics deliver the solution. Light in weight but very strong and stable. Design Registered Inter-locked feature - easy installation, no bolts and nuts needed. 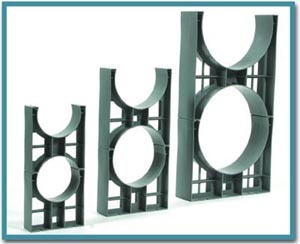 Cost Effective - Our spacer can be staggered resulting in smaller trench. Easy to install thus saving time.